Some time in the middle of last week a day sort of sprung up out of nowhere as a very good wine day. Following a fascinating morning meeting (can’t say “fascinating” and “meeting” appear together in too many sentences in my life) we went down to Zucca for lunch and following a glass of Franciacorta we had three reds, all good, all very different. Clos de Tart 2003 led the way and was, as it always seems to be, a very good wine but also an atypical one that could (and I am saying could with some bias) be a legend in as much as it is all there and often the legendary bottles come from vintages with a degree of excess, we’ll see. It sits somewhere between Burgundy and Rhone in its rich density, if you get the chance to try it then do, Andrew Jefford wrote a good article about the wine but I can’t find it. Next was Barbaresco Crichet Paje 1988, Roagna which was a little gem, savoury but fruited too, at its peak but not fading one bit I would say, delicious. From one block in Paje, “Crichet” in dialect means hillock. The 3rd wine was a wine I have had many times Barolo Brunate – Le Coste 2003, Guiseppe Rinaldi, it like the Clos de Tart is from a vintage of excess but those traditional producers (i.e. 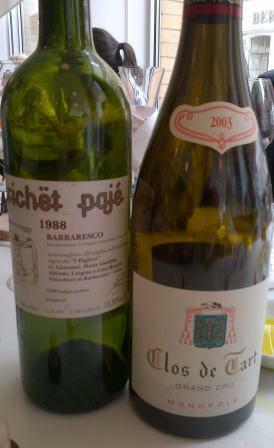 no new oak, in fact deliberately old oak) did well and Rinaldi is, as is Roagna, amongst these and one of the best. This is such but savoury..it was a cracking trio, as ever surrounded by simple food executed so well. 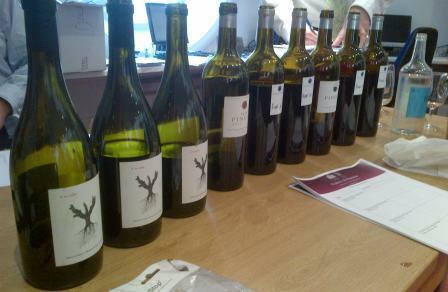 On returning to the office it was time to taste the Flor de Pingus and Pingus 2010 and 2011. Now this was tricky as the 2010 is as near as dam it the finished wine and again I am biased but Peter Sisseck seems to get more from these wines each year. The 2011’s have seen less oak and as a result are more fruit driven at present. The Flors are excellent and if it weren’t for Pingus itself they would be top top wines as they are. They become appreciable to my mind after 4-6 years and age well beyond, the 1996, the first Flor, is still singing. The Pingus is a much longer term scenario, 10 years plus, there is an amazing density. 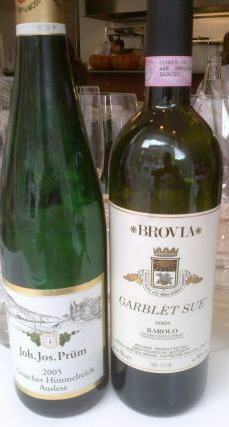 The 2010 and 2011 were very very hard to split on quality, may be 2010 is more rich the 2011 has more freshness and poise?